Stephen Edelstein March 6, 2015 Comment Now! Concept cars are nothing new, but now companies are showing off concept tires that can be as radical as any vehicle they might get bolted to. 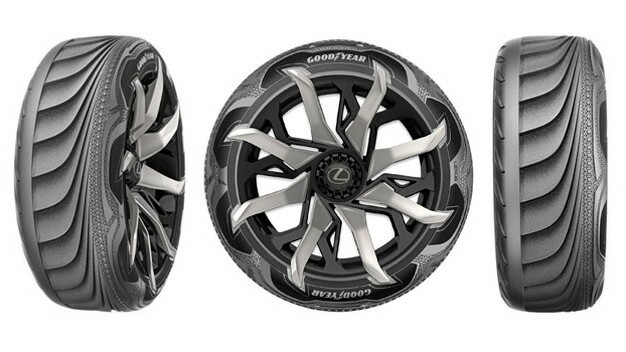 Case in point, Goodyear just unveiled two new concept tires at the 2015 Geneva Motor Show, and they go well beyond just providing a point of contact with the road. 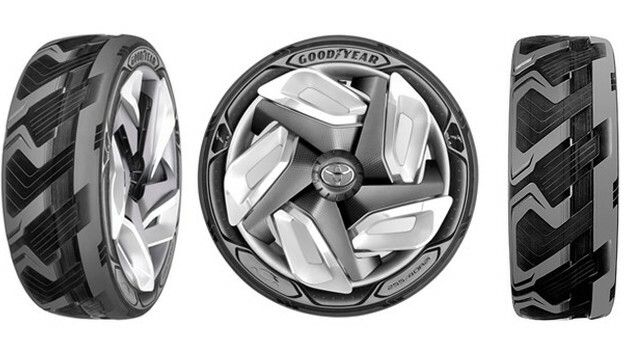 "These concept tires re-imagine the role that tires may play in the future," Goodyear chief technical officer Joe Zekoski said in a statement. He went on to say that the company hopes it products will eventually become more integrated into the overall vehicle design. The first futuristic tire concept is called BHO3, and while the name may not sound that interesting, the tire has a fairly impressive ability. Goodyear says it can generate electricity using the heat created by flexing under normal driving conditions. This technology could potentially be applied to electric cars and hybrids, providing a supplementary source of electricity to improve efficiency. Goodyear's second new concept is called the Triple Tube, so named because of the three internal tubes that allow it to change shape depending on conditions. The tubes are located beneath the tread near the center of the tire and the inboard and outboard shoulders. A pump moves air between, morphing the tire into three different positions. In "Eco/Safety" mode, all three tubes are fully inflated to decrease rolling resistance, while just the center tube is pumped up in "Wet Traction" to reduce the chance of aquaplaning. In addition, a "Sporty" position adds air to the inboard tube to increase the contact patch and provide more grip. 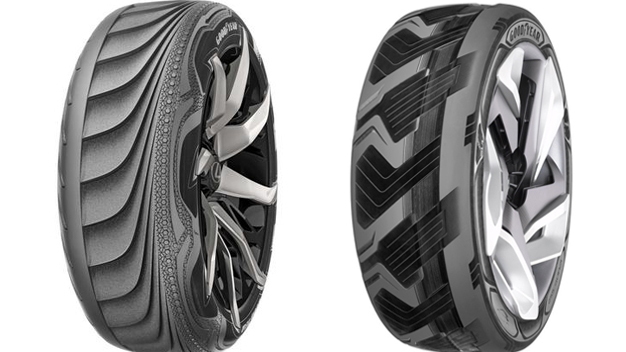 Like most flashy concept cars, neither of these tires are destined production. They're primarily a tool for Goodyear to show off its ability to be innovative, and for drivers to contemplate a future of electricity-generating, transforming rubber.